Running a business is no easy task—after all, most businesses in the U.S. close after just one year. If something goes wrong, and a business owner doesn’t have insurance, that could cause the forfeiture of his business forever! This makes for a shaky situation, especially if you’re the business owner of a dram shop. This is why it’s important to get covered. In addition to protecting your business, there are many other reasons to get bar insurance. Here are the top 5 benefits of dram shop liability insurance. What is Dram Shop Liability Insurance? A dram shop is any business that sells alcoholic beverages, usually a nightlife establishment like a bar or nightclub. Have you ever been in a club or bar and a bouncer kicked out a patron for being drunk at a belligerent level? The main reason they were probably so quick to throw them out is because the establishment is legally responsible for that person while they’re within the venue, especially if that patron has been purchasing alcoholic drinks. However, whether a drunk patron leaves or stays at your establishment, you’re liable for their safety, especially if the patron gets hurt. 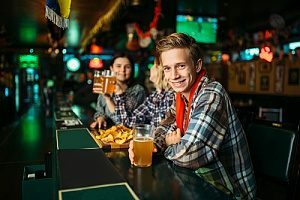 Essentially, dram shop liability insurance or liquor liability insurance is protection against costs that you could incur from certain incidents involving your nightlife business. This type of coverage comes with many benefits for you, the business owner. There are numerous benefits associated with having business insurance. If you’ve got a dram shop and you’re trying to figure out why you need coverage, check out our list of benefits of dram shop liability insurance. Your dram shop is supposed to help you make money, not lose it. But that’s exactly what could happen without coverage for your establishment. Having insurance in case something happens to your equipment, hardware, liquor inventory, etc. is a great way to prevent having to pay out-of-pocket should an incident occur. Say one of your bartenders accidentally spills a round of drinks on your point-of-sale system. Property insurance would cover the costs of replacing your equipment so you won’t have to. 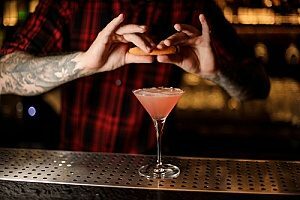 You hope every night at your establishment will be smooth, without any indiscretions; but, that typically is unavoidable. Most dram shops will experience some issues with patrons, such as disorderly conduct, extreme drunkenness and the like. If a patron gets injured while inebriated, as an effect of drinking at your establishment, liquor liability insurance or dram shop liability insurance will conveniently cover you in case you have to cover medical costs or legal fees. A drunk patron getting injured is bad; a drunk patron getting into a car accident while driving under the influence is even worse. If your business gets linked to the patron and their damaged vehicle as a factor in their reckless behavior, you could be held liable. Dram Shop Liability Insurance will allow you to handle this type of situation without paying out-of-pocket for related costs. 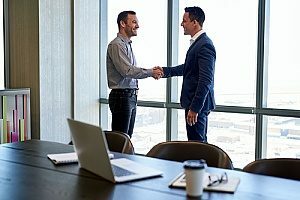 Depending on how the city examines the events that took place, you may even be protected to the point where your business is not held liable for what happened. Your employees keep your establishment running smoothly and professionally. But working in a place like a dram shop puts them at risk. Say your employee is walking fast and they slip and fall on the wet floor because a club-goer spilled a drink. If he/she gets badly injured, you can rest a little easier knowing that neither you nor your employee will have to pay high costs. Under the right insurance, in this case worker’s compensation, you’ll have coverage for your employee’s medical costs instead of paying for everything out-of-pocket. As you can see, dram shop liability coverage can keep you protected for a range of things that matter for your business. Having insurance can give you the peace of mind every business owner should have. Knowing that your business, patrons, their vehicles, and your employees are protected, you can worry about one less thing when it comes to keeping your business running. Ultimately, you simply want your dram shop to be a place where people can have good, clean fun. But, it’s best to have protection for anything that could come from owning a dram shop. Now that you’ve learned the basics of dram shop liability insurance, start thinking about getting coverage that will provide you with these benefits and more. Protect your business from all the mishaps that could happen at your nightlife establishment. Speak with an bar insurance broker at MFE Insurance to get started on insuring your business. Contact us online or give us a call at (213)266-7990. Previous Post: « Do I Need Drone Insurance For My Next Drone Racing Event?